Oh no! Did you hear? 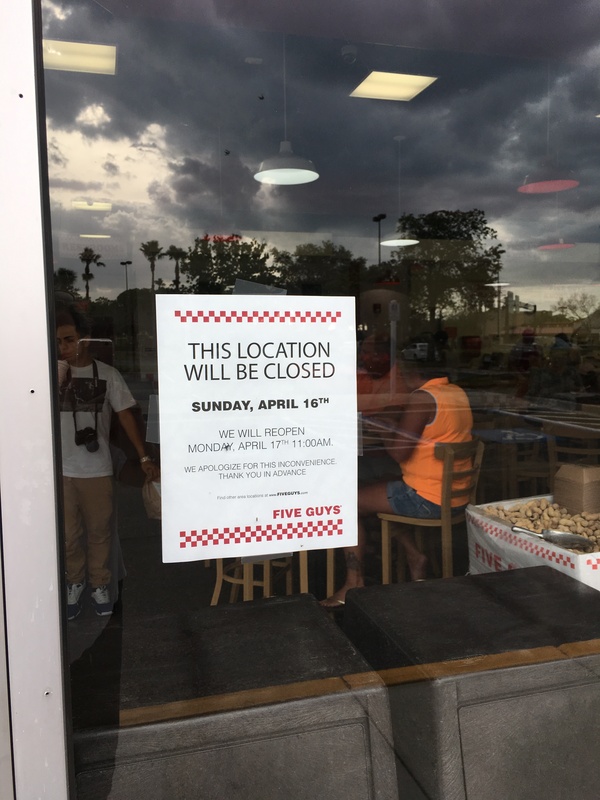 Five Guys is going out of business! If you’re running a nonprofit thrift shop, and you would like to squelch the “can you take less for this?” shoppers, this sign from World’s Attic, run by the Mennonite Central Committee, might be just the thing. Don’t use a New Arrivals Rack (or area, if you deal in home decor) in your shop? Read about So many things in my life in consignment started out as a benefit to ME… and then I learned they were a BIGGER benefit to my customers. And this reason why your loyal customers don’t stop in more often which I’m guessing has never occurred to you. Where do you find the best information about your resale business? Learn a Lot: Make your own stock room. Look closely at this photo. Pretty good disguise, huh?